The ancient wine-producing region of Istria spans the westernmost part of Croatia and coastal tip of southern Slovenia. Despite this location, straddling two proud wine-producing countries, Istrian wine is still largely undiscovered by the world’s wine drinking population. The region uses both local and international grape varieties to make wine in a wide range of styles. With such diversity of choice, it fits the description of a modern-day success story. So why don’t we know more about it? As the world wakes up to Istria’s characterful and rewarding wines, producers determined to improve quality are being recognised with a run of recent international awards. The first grapes were introduced to Istria by the Greeks as early as the 6th century BC making it one of the oldest winegrowing regions in Europe. However, a turbulent history has prevented it from becoming one of the classic regions. Named after the Histri, the first settlers on this heart-shaped peninsula of the North Adriatic, Istria has been part of many countries throughout its chequered history. One Istrian winemaker explains the last 100 years simply: “My grandfather was born in Austria, my father was born in Italy, I was born in Yugoslavia and my daughter was born in Croatia. We were all born in the same house”. Today, there are just 4,000 hectares under vine in Croatian Istria, compared to 44,000ha at the end of the 19th century, before phylloxera struck. The fall of Yugoslavia in the early ‘90s saw the decline of bulk producing state cooperatives, providing the opportunity for the Istrian wine scene to shine once again. Quality conscious producers have started to emerge, modernising wineries and lowering vineyard yields to produce more concentrated and complex wines. Rather than looking back, these new producers are looking to build on the unique geography of the region often referred to as the largest green oasis of the North Adriatic. The Istrian climate is Mediterranean, strongly influenced by the Alps that bring cold air in the evenings, prolonging the ripening season and retaining acidity levels. Sea breezes from the Adriatic during the day keep vineyards cool, dry and disease free. Rainfall reaches 800mm per year but it rains mainly during winter, spring and late autumn. Warm, dry summers mean that the biggest challenge in the region is drought – fungal diseases are less of a worry. RED ISTRIA is named for its terracotta coloured soil, rich in iron called Crljenica (Terra Rossa). This soil is found closer to the sea and is mainly reserved for growing red varieties. However white varieties are also grown on this soil and result in full bodied and structured wines. GREY ISTRIA is found in central part of the peninsula and has flysch soil (sedimentary rock with grey clay rich in limestone) more suitable for white varieties. Wines from these soils have good acidity levels, pronounced aromatics and medium body. WHITE ISTRIA is similar to Grey Istria but has more rocky soil with even higher limestone content. This soil is found mainly inland on higher ground. Wines from these soils tend to be higher in acidity, more aromatic and very elegant. Also known as Malvasia Istriana, this is the dominant grape variety in the region, making up 60% of total plantings in Istria, and 11% in the whole of Croatia. It has no close connection to any other Mediterranean Malvasia variety and is considered to be indigenous to Croatian Istria, but it is also found in neighbouring Slovenia and Friuli-Venezia Giulia in Italy. Malvasia Istriana, grown in Grey and White Istria, produces zesty, refreshing wines with notes of acacia flower, citrus fruit and a touch of bitter almonds on the finish. The style makes a brilliant aperitif and a perfect pairing with local oysters from Limski Kanal. Some good examples are also made using long skin maceration as well as the local speciality of acacia barrel ageing. Wines aged in acacia barrels have similar structure and mouthfeel to oak-aged wines, but with less pronounced vanilla and toasty flavours, providing more room for the aromatics of Malvasia Istriana to shine. They are usually paired with local fuži, a penne-like pasta dish made with the famous Istrian truffles from Motovun forest. Another increasingly popular local variety is the red grape Teran, which has often been confused with better-known Refosco. For many winemakers it is a challenging variety as it’s hard to ripen, resulting in wines that can be green and unbalanced. When successful, good examples yield deep darkly-coloured wines with high levels of acidity and tannin, full-bodied, and exhibiting flavours of dark berries and wild herbs with great ageing potential. You’ll often see Teran blended with Merlot to balance its wilder side and make a wine that is more approachable when young. Blends of Teran with Merlot and other international varieties embrace a modern approach to winemaking, but keep their distinct Istrian character. These wines are also known as Superistrians – playing homage to the well-known international ideas and blends found in Tuscany. Muskat Momjanski (Moscato di Momiano) is a delicacy found around the town of Momjan in the western part of Croatian Istria. It makes refreshing, medium-sweet wines with intense floral and stone fruit notes. As a result of both proximity and history, the Italian influence in Istria is very strong. It is no surprise then that Italian varieties like Pinot Grigio, Pinot Bianco and Refosco are well represented. International varieties like Chardonnay, Sauvignon Blanc, Syrah, Cabernet Sauvignon and Merlot are also present and yielding wonderful results. In fact, British wine critic Oz Clarke, claimed that Croatian Istria might be the second best terroir for Merlot after the Right Bank of Bordeaux. Benefiting from centuries of experience, an ingrained wine culture, and recent investment, Croatian Istria is perfectly poised to claim a reputation as a credible, quality wine-producing region. Its burgeoning popularity as one of Europe’s major tourist destinations has already resulted in a strong local market for the majority of its wine production. When these tourists return home there is a huge opportunity for producers to increase exports. Those producers with sufficient wine to sell have been very successful already in both the UK and US markets and interest from Asian markets continues to grow. As the world wakes up to Istria’s characterful and rewarding wines, producers determined to improve quality are being recognised with a run of recent international awards. The region has the gift of geography and climate, and if it can maintain the balance between local and international, consumers will be getting to know Istria a lot better in the years ahead. 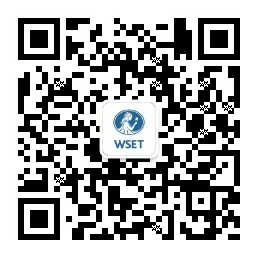 Article prepared for WSET by Dennis Drazan Sunjic DipWSET. Dennis is a WSET Certified Educator with the Wine Academy Croatia and a Sales Manager at Liberty Wines. Phylloxera is an insect that is native to North America against which V. viniferais is unable to defend itself. Consequently it causes extensive destruction to the vineyards of Europe when it was introduced in the nineteenth century.